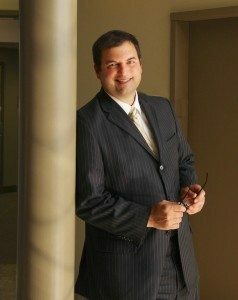 A founding partner in the law firm, Dean DelCollo was born and raised in Hockessin, Delaware. He graduated from Alexis I du Pont High School in 1985. He received a Bachelor of Arts in history from the University of Delaware in 1989. Dean graduated from Widener University School of Law in 1992 and started his law career with the Public Defender’s Office for the State of Delaware, where he gained valuable and extensive trial experience handling all types of criminal matters. Dean has been lead counsel on many types of cases, ranging from traffic offenses to capital murder. Dean has limited his private practice to Bankruptcy, Social Security Disability, Personal Injury and Real Estate Law. He is a member of the Delaware Bar and is admitted to practice in the Federal Court of the District of Delaware. He is an associate member of the New Castle County Board of Realtors. Dean has been a featured speaker for various banking institutions and non-profit groups on the subject of real estate transactions. He is married and the father of three children. He enjoys time with his family and attending both Eagles and Phillies games.